Over the next two weeks, MohammadReza Akhoondi, an Iranian Instagrammer, will take over our Instagram account. Kids ride bikes and play in the streets of Ghal’e-Kohneh area. #Yazd, #Iran. #EverydayYazd #EverydayIran #EverydayEverywhere کودکان، سوار بر دوچرخه‌هایشان، در کوچه‌های محله قلعه کهنه، بازی می‌کنند. #یزد، #ایران. CK: Tell us a little bit about yourself and your background. 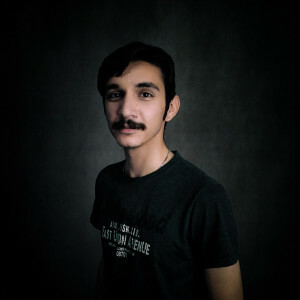 MohammadReza: I was born in 1990 in Yazd, Iran. The first decade of my life I lived in my hometown village, Kharanaq. I started my career as a photographer in 2010 and I’ve worked as a photojournalist for various national magazines, newspapers and news agencies since 2011. MohammadReza: I studied law at university (Actually I didn’t :D), But this was not a field that is compatible with my soul. When I studied law at the University, I realized that I don’t like to judge anybody and this field was in conflict with it. So I chose photography, a photographer sees, captures and passes judgment to others. CK: What led you to your project ( Instagram account) ? MohammadReza: Instagram is like a big tribune that each user is the speaker and the audience simultaneously. I, as a photographer can use Instagram to share my own stories with millions of users. From the editor of a magazine to the public who can see my photos on Instagram without an intermediary. CK: What is a typical week like for you? MohammadReza: I’m shooting almost every day, sometimes in my studio and sometimes on the streets. Sometimes gathering with friends and watching movies. Sometimes I go to the swimming pool. On the weekends usually, I go to the village to meet my Grandparents. CK: What are your favorite Iranian dishes? What are you eating or cooking on a weekly basis? MohammadReza: Khoresht-e Bademjan is my favorite, also I like Shooly Yazdi, a special vegetable soup in Yazd. I rarely cook and I don’t know very well. But I suggest you try my scrambled eggs and omelets.